The image of the 21st-Century Gothic is not that of Victor Frankenstein's Creature, made whole and sentient by an outside Creator. Contemporary global culture is dis-membered; its politics have effectively dissipated the nostalgic fantasy of wholeness and belonging of past decades. Often seen with suspicion, however, this nostalgia nevertheless persists as part of the Gothic's motor force. Similarly, contemporary Gothic is a transcultural mass of writhing limbs, each of which "speaks" in a different direction and with a different voice even as there remains some spectral desire for a unity and coherence always to come. 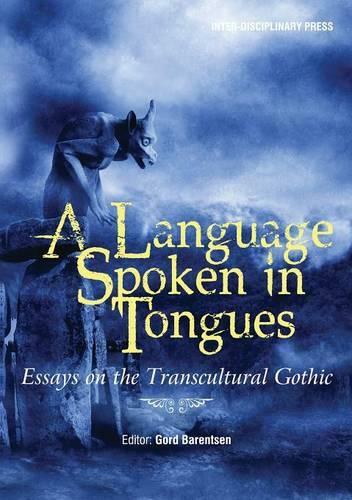 With topics ranging from Asian Gosurori Lolitas to John Lindqvist, from True Blood to Twilight, from Stephen King to Hollywood horror, the essays in A Language Spoken in Tongues track the transcultural Gothic and its anxieties across fiction, film and culture.